It just wouldn’t be right to post a complainy rant on Thanksgiving. 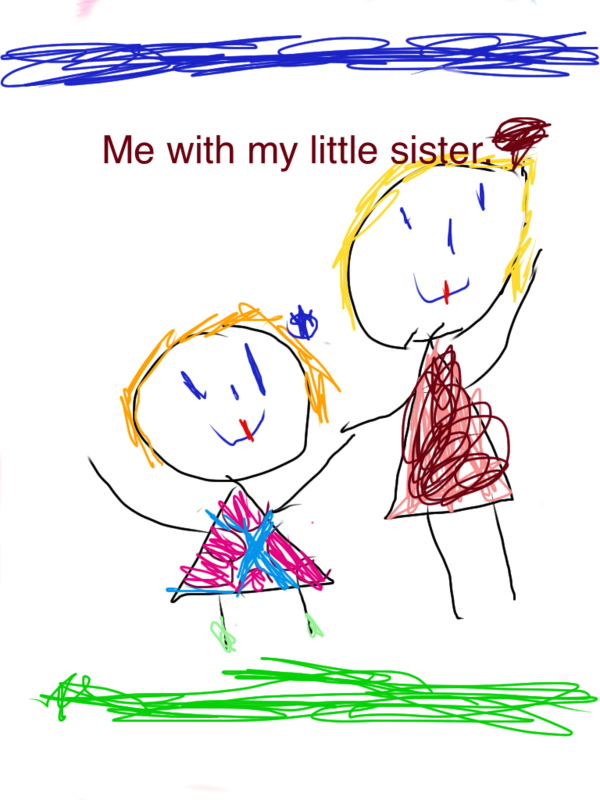 So, today, I turn the blog over to a guest poster, our 6 year old daughter. I asked her to write about what she was thankful for. Happy Thanksgiving fellow Americans! hello, my name is C___*. I am 6 years old. i am in first grade. my teacher is named Mrs. G. now let me tell what I am thankful for. i am thankful for my friends and family and my holidays. i am thankful for kittens, cats and puppys. also i am thankful for the first thanksgiving and the first christmas. I am also thankful for all my stuffed toy animals. now let me tell you about my little sister. She is such a nub. She is 4 years old. She is queen baby in our house. She even bosses me around sometimes. She has a 2 year old friend named j*. But I’m reeeeeeeeeeeeeeeealy happy she’s my little sister. Well this is adorable. Happy Thanksgiving, C! hi, i am c. happy thanksgiving to you to. Happy Thanksgiving to the entire 1500 family and thanks for keeping us all entertained with one of the finest websites around! Right back at you Brad! Hope you and yours have a great holiday! Alicia @ Financial Diffraction recently posted…extra retirement contribution room. Right back at ya’ Alicia! Hehe!! So cute! She is a wonderful writer and Happy Thanksgiving. Does that turkey say she is thankful for “all my fancy things”? How insanely adorable! Nope, I never completed pharmacy school. After the first year, I decided it wasn’t for me. Now, I develop software. I’d be interested to hearing more about your goal. Sounds like you have an interesting life. I like it! The story is way too long. Too many things went wrong during the recession, including a foreclosure (caution to would be landlords about bad renters..they can ruin you). Anyway, we survived and realized we no longer wanted to be tied down by material things. We aggressively paid down our consumer debt, including taking a loan on the 401k (I know it’s not recommended). We didn’t eat out for over 3 years, not even fast food. We sold 2 under performing rentals (slight profit overall), sold most of our stuff, rented the house and left for a tiny island in Europe. We have enough to not work for at least 4 years. We make about 1,000 after expenses monthly from the rentals. 401k is at half a million. We have no kids by choice because we wanted to travel, but somehow we forgot and got caught up in the dream. Now, life is good. I don’t miss pharmacy. I am actually thinking about taking some Java programming or Adobe classes because l love to learn. Hubby is a photog, so we are trying to make a go of that so we don’t get bored. He is also European which is why l get to stay. We have 1 trip per month scheduled for the next 6 months. Imagine our round trip tickets to Marseilles cost 80 dollars for both of us!!! Our little guy has a few years before he’ll be doing this. But I found our nieces’ recent answers cute (and… interesting). Her younger sister was asked to write what she was thankful for. Her paper simply said: “I am Thankful for _______” and she had filled in the blank with her own name. The family is hoping she just didn’t understand the exercise. 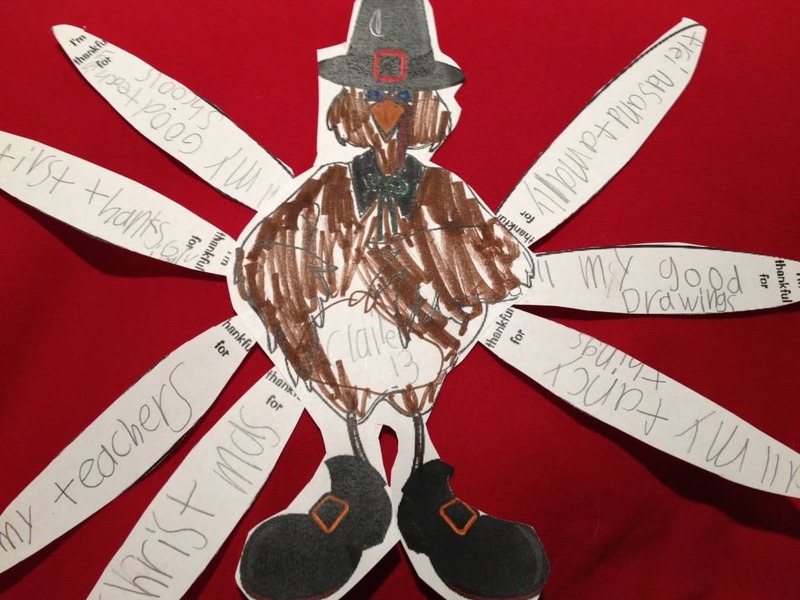 “I am Thankful for _______” and she had filled in the blank with her own name. Ha ha, that is great! So cute! I love how she calls her little sister the “queen baby” in the house. LOL. Yeah, that’s pretty much the cutest thing ever. Thanks for sharing it. I love the line about her sister being a nub!